Stay safe, stay connected – get the right radio aerial! It’s crucial when you are out on the road or in the bush to be heard when you need to be heard. 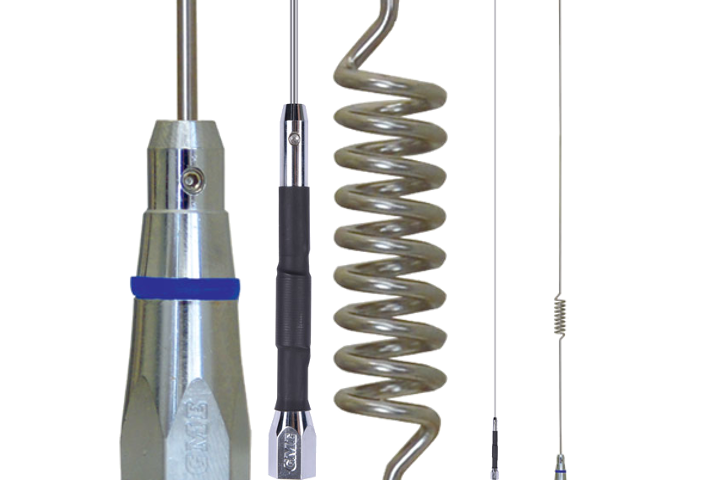 Your safety relies on your vehicles antenna, which is why Wrack Auto Electrical in Whangarei only sells top of the range products from GME, RFI and Pacific Aerials. The aerials we are selling at Wrack Auto are full of the best technology and yet tough to handle all conditions. If you get into trouble, don’t worry we are here to help with our 24/7 call out service. We carry both ground plane and independent ground plane aerials for your Citizen Band radio or short for CB radio (26mhz). We have stainless steel whips and fiber glass whips as well as a great range of UHF CB aerials know as PRS or 477mhz on the shelf. VHF short for Very High Frequency covers the Frequency range from 30MHz to 300MHZ. The most common use for this range would have to be communication for our Forestry Industry which use radios operating between 138MHZ to 174MHz. Straight off the shelf we can supply you with a replacement whip or a complete aerial including base. We have both Ground Plane and Independent aerials available. UHF short for Ultra High Frequency covers the frequency range from 300Mhz to 3000MHz. Within this range we have aerials that are independent ground plane and ground plane required. Our aerials suit PRS (Public Radio Service) and commercial radios, which commonly run around 477MHz. Do you require an external aerial for your cell phone kit or booster, check out the various options available in store. We cover the three main telecommunications networks, 2Degrees, Vodafone and Spark. We have a great range of Universal and OEM replacement aerials. Have you got a Japanese Import and the stereo on FM won’t pick up a station above 90Hz, we may be able to fix it with a band expander. You can only get the ROCK FM on your radio? Or your stereo aerial is broken or your car audio and comfort control systems are not working, we can use our car diagnostic tools to help ascertain the fault. Straight off the shelf you can get aerial mounting brackets, connectors and adapters, cables, extensions and springs. Need to replace or change the connector of your GPS cable, we would more than likely have it or can get it quickly.